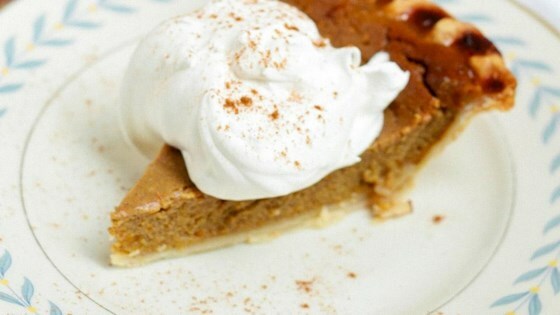 "This traditional pumpkin pie with cinnamon, ginger, and cloves uses vanilla almondmilk for extra creaminess and flavor." In a large bowl, combine eggs, egg yolk, sugar, cinnamon, salt, nutmeg, ginger and ground cloves. Gradually stir in Original or Vanilla Almond Breeze, then stir in pumpkin puree. Pour filling into premade pie shell. Bake for 50 to 55 minutes or until filling is set.